World BASE Race Wrap-Up: Tony Uragallo and Larissa Svedlenko Win! The World BASE Race concluded the first of three events, the wingsuit racing competition today by crowning the victors. Tony Uragallo of the United Kingdom scored the top spot with a time of 29.91 in the final four including Frode Johannessen, Espen Fadness, and Geir Hjornevik. The 2012 event is Uragallo’s first official race after flying qualifying times in 2011. The founder and owner of Tony Suits it seems fitting that he should fly to victory in one of his own creations. Frode Johannessen a past 2009, 2011 World BASE Race winner and 2009, 2010, & 2011 Norwegian Nationals winner received a disqualification due to failure to adhere to canopy time in the semi-final race. Espen Fadness holding the 2010 title along with the 2012 Norwegian Nationals and World ProBASE championship title claimed the second spot to Uragallo’s win. Geir Hjørnevik of Voss, Norway also had an eliminating 24 seconds canopy time disqualification in the semi-final race. Setting up a final of Fadness against Uragallo and awarding third/bronze to both Heimen and Nordbakk. 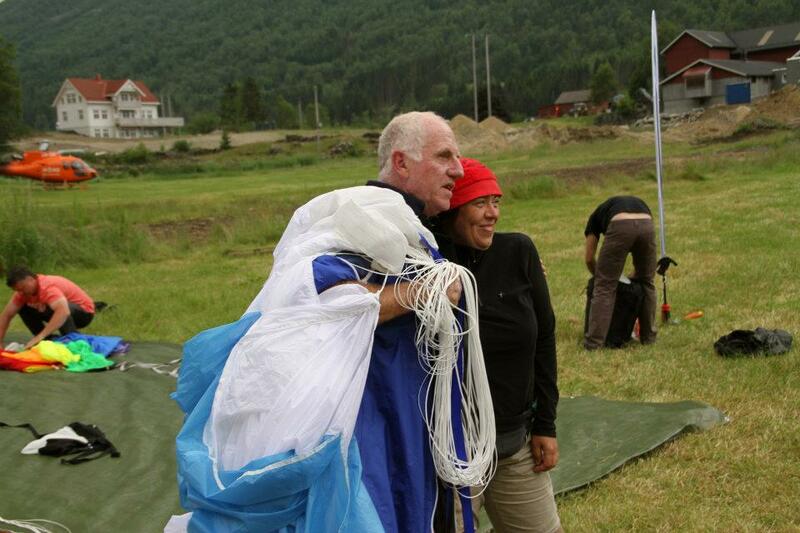 This entry was posted in BASE Jumping and tagged Norway BASE, Tony Uragallo, World BASE Race. Bookmark the permalink.